For 20 years, Google has worked to put the world’s information at your fingertips. Instant delivery of that information is made possible through our data centre and network capabilities, and now we're using that technology to change how you access and enjoy video games. Stadia is a new video game platform, delivering instant access to your favourite games on any type of screen—whether it’s a TV, laptop, desktop, tablet or mobile phone. Our goal is to make those games available in resolutions up to 4K and 60 frames per second with HDR and surround sound. We’ll be launching later this year in select countries including the U.S., Canada, U.K. and much of Europe. To build Stadia, we’ve thought deeply about what it means to be a gamer and worked to converge two distinct worlds: people who play video games and people who love watching them. Stadia will lift restrictions on the games we create and play—and the communities who enjoy them. Using our globally connected network of Google data centres, Stadia will free players from the limitations of traditional consoles and PCs. When players use Stadia, they'll be able to access their games at all times, and on virtually any screen. And developers will have access to nearly unlimited resources to create the games they’ve always dreamed of. It’s a powerful hardware stack combining server class GPU, CPU, memory and storage, and with the power of Google’s data center infrastructure, Stadia can evolve as quickly as the imagination of game creators. Data centres make Stadia possible, but what sets the system apart is how it works with other Google services. 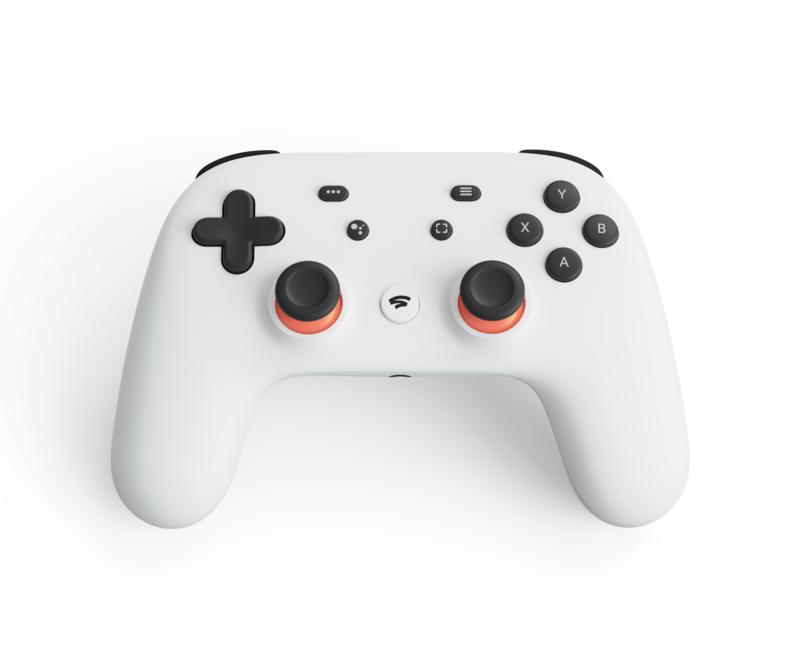 In a world where there are more than 200 million people watching game-related content daily on YouTube, Stadia makes many of those games playable with the press of a button. If you watch one of your favourite creators playing Assassin's Creed Odyssey, simply click the “play now” button. Seconds later, you’ll be running around ancient Greece in your own game/on your own adventure—no downloads, no updates, no patches and no installs. But what’s a gaming platform without its own dedicated controller? Enter the Stadia controller*. When we designed the Stadia controller, we listened to gamers about what they wanted in a controller. First, we made sure to develop a direct connection from the Stadia controller to our data centre through Wi-Fi for the best possible gaming performance. The controller also includes a button for instant capture, saving and sharing gameplay in up to 4k of stunning resolution. And it comes equipped with a Google Assistant button and built-in microphone. Using Google’s vast experience, reach and decades of investment we’re making Stadia a powerful gaming platform for players, developers and YouTube content creators— of all sizes. We’re building a playground for every imagination. *This device is a prototype unit and cannot be marketed, sold, leased, or distributed until it complies with applicable essential requirements and obtains required legal authorizations.